Rental cars are everywhere. Indeed, Auto Rental News reports that there are 2.3 million rental cars currently on the road in the United States. Whether you are renting a car during a vacation, while your own vehicle is in the mechanic’s shop, or for any other reason, it is imperative that you fully understand rental car liability issues. Unfortunately, far too many renters do not actually understand their rental insurance coverage. Here, our experienced Tampa car accident attorneys explain some of the basics about Florida rental car accident liability. Which Insurance Policy Actually Protects You? Your credit card: Many credit cards now offer some amount of rental car insurance coverage. To access this coverage, you will need to purchase the rental car with that specific credit card. If you are doing this, you must review the terms and conditions of the coverage offered by your credit card so that you know exactly what what type of protection you have. Credit card based rental car coverage can vary considerably. Your own insurance policy: Your car insurance policy or, in some limited cases, your home insurance policy, may offer complimentary rental car coverage. Once again, it is critically important that you assess the terms and conditions of this coverage to ensure that you are properly protected. A supplemental policy purchased from the rental company: Finally, you may be able to get coverage from the rental company. If you fail to purchase this coverage, and do not have other valid protection from other sources, you may be held personally liable for rental car damages and well as other damages in the event that you are found to be at-fault for an accident. 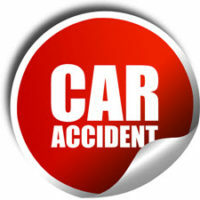 In Florida, car accident liability is based on the negligence standard. This means that the party who was at-fault for the accident can be held liable for the accident. Of course, determining liability is not always easy. If you were injured in a rental car accident, you need to consult with an experienced personal injury attorney who can help assess your case and your insurance coverage and determine precisely what must be done to protect your legal rights and financial interests. At Pawlowski//Mastrilli Law Group, our aggressive Tampa car accident lawyers have helped many victims recover fair injury compensation. If you were injured in a rental car accident, please call our office today at (813) 242-4404 to set up a free review of your case. Our firm serves communities throughout the region, including in Pasco County and Pinellas County.